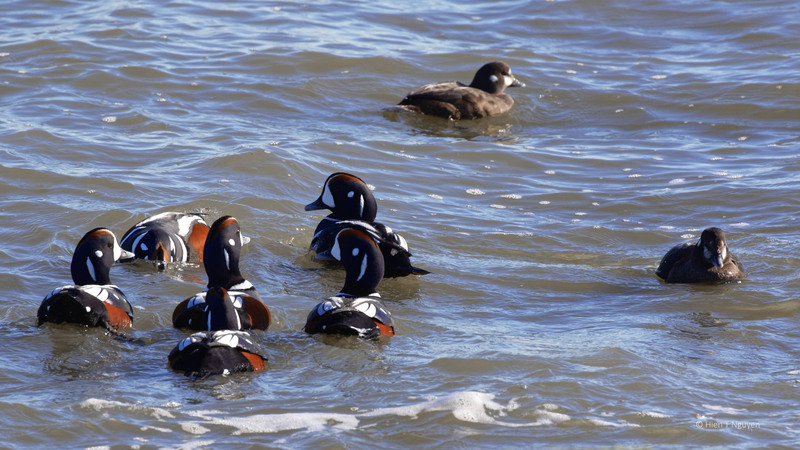 Today, the first day of 2017, I went to the Barnegat Lighthouse jetty to find Harlequin ducks. 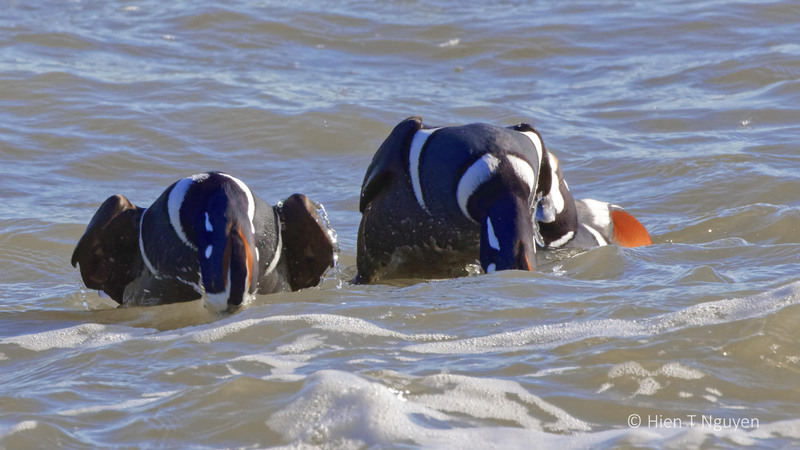 For years, they have chosen that place as their favorite Winter playground because the current is swift along the jetty rocks, and also because there must be a lot of mollusks and crustaceans for them to eat. Today the sun was finally shining bright after a long string of gloomy days. 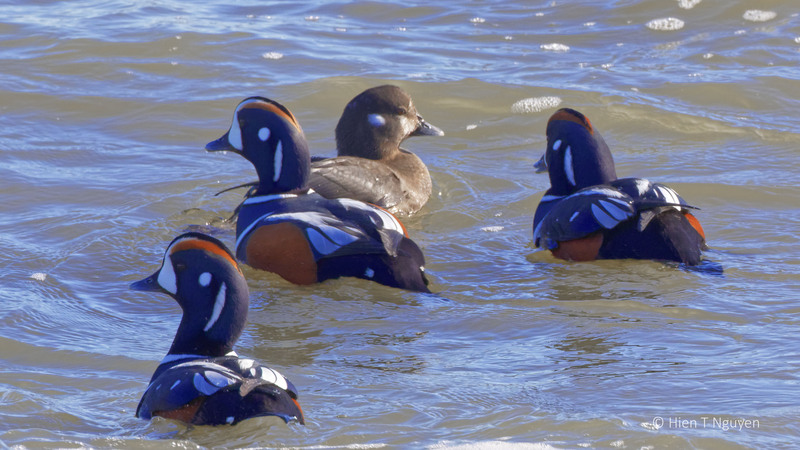 The Harlequin were out in force, at least a dozen of them, swimming, diving, and the males trying to pair off with several females. They were so busy that they did not mind several photographers hovering nearby taking their pictures. I was able to come quite close to them without scaring them away. 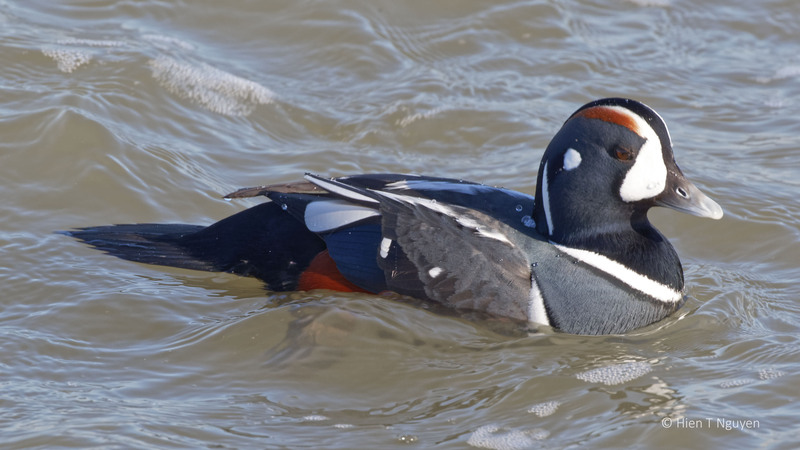 Male Harlequin at Barnegat Lighthouse jetty. 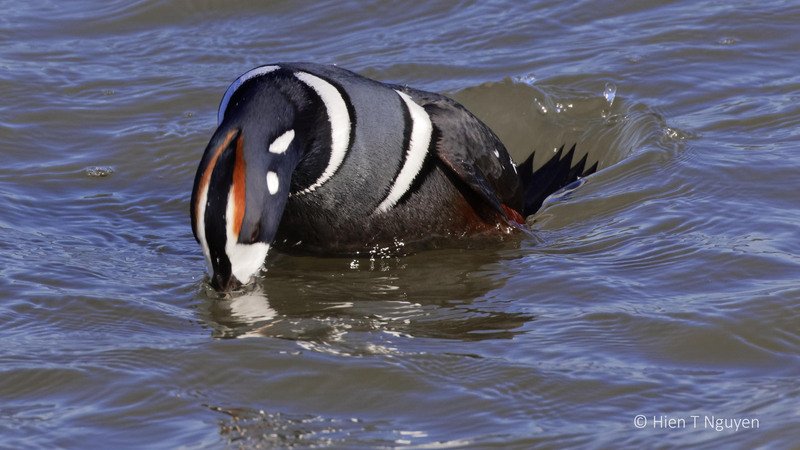 Male Harlequin beginning dive for food. Harlequins. The female is the second duck from the right. Male Harlequins deciding on which female to court. The two females are at right of picture. I’ve never seen these ducks before. Beautiful photographs. Thank you Carol! You never saw them when you lived up these parts? 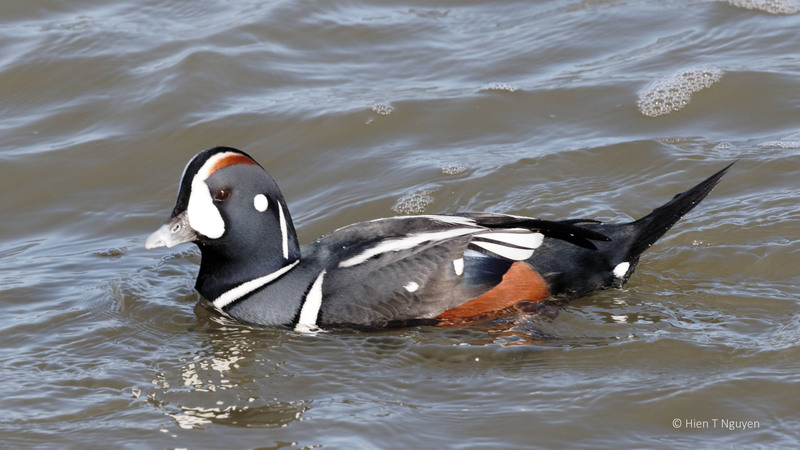 Unusually beautiful ducks! We don’t have these ducks in TX. Thanks Amy! These ducks seem to like cold and turbulent waters, something that Texas may not have. Perhaps the males have to look good to attract the females! They are beautiful! Wonderful captures! I’m happy for you that you finally had a chance to get outside, did you shoot these with your new lens? Not that it matters, the images are excellent, and the ducks are beautiful! Thanks Jerry! 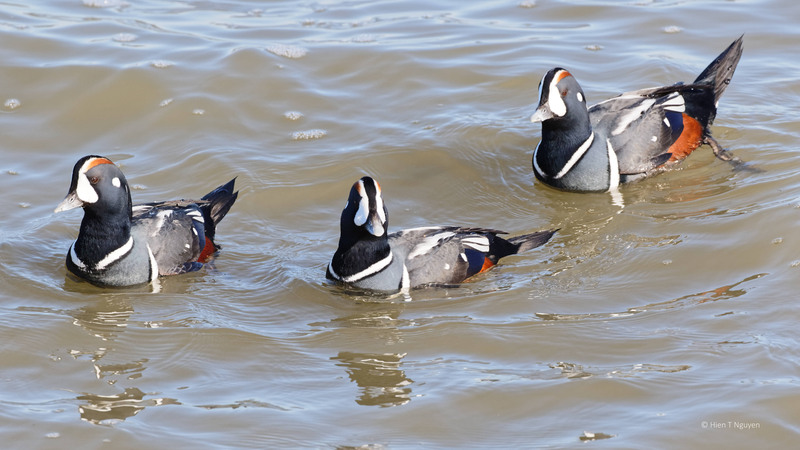 I did use my new lens, and so far it has produced my best Harlequin photos yet. Beautiful creatures, and beautifully captured too! Excellent photos, Hien. And beautiful ducks! Donna, come to Barnegat between late December and February, and you will see and photograph them!